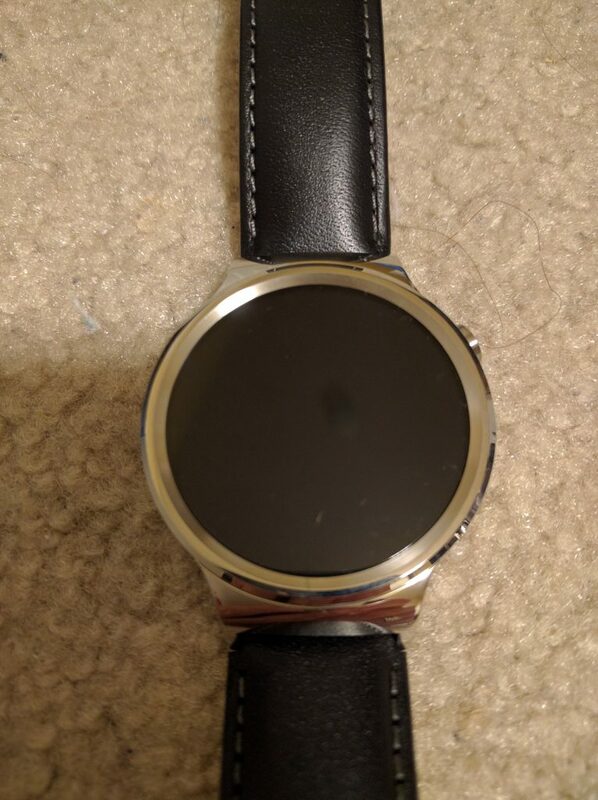 As a result I started reading reviews and a lot of posts about smartwatches. I am not a big Apple fan (except for their designs) and it seemed, that the Apple Watch has its problems with the haptic and the general usability. In fact it seems to be so bad, that people are getting rid of their watches. Not that the Android world is so much better, but there is more diversity. 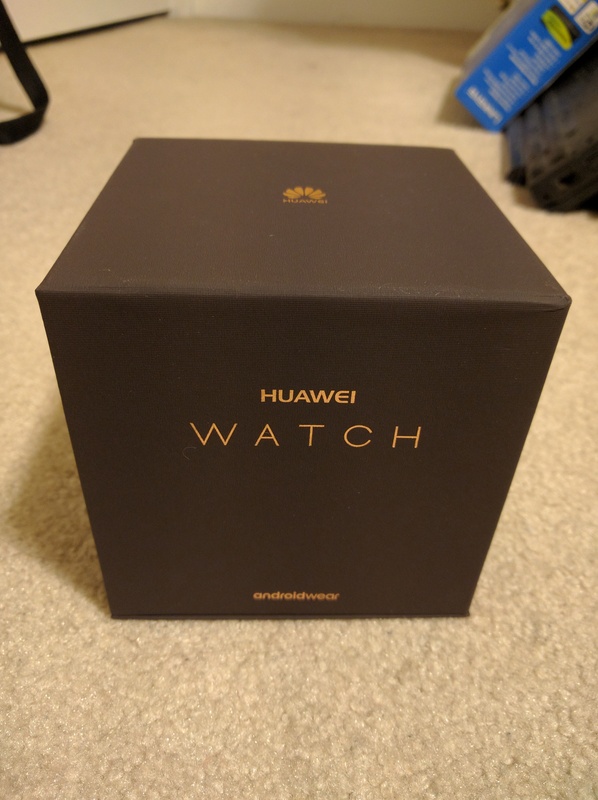 And it seemed to me, that the Huawei Smartwatch was kinda okay. So I ordered one on ye good olde Amazon. And of course USPS messed up and delivered it to the wrong building, which meant, that I had to chase the package down. But finally I could hold it in my hands. The watch is in a very stylish and high quality looking black cube with gold lettering. This is a nice looking watch. 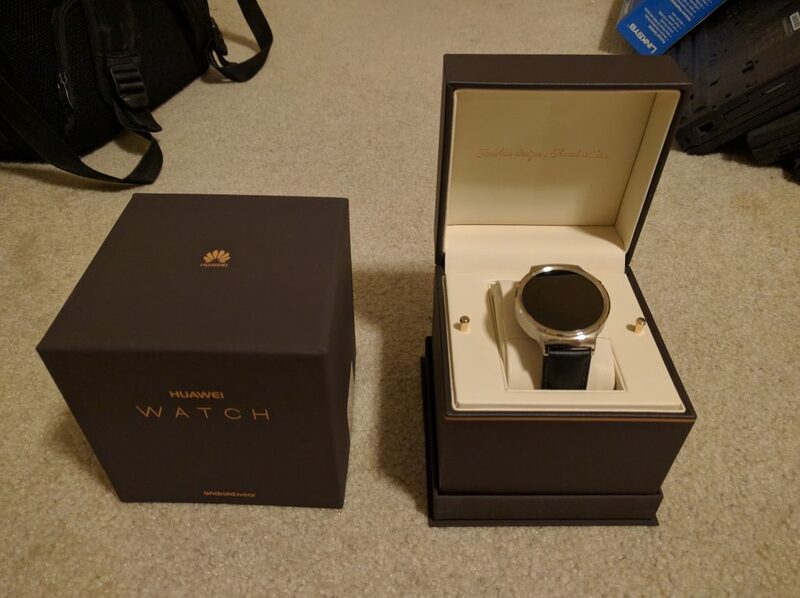 Like the packaging the watch looks very high quality and has a very nice soft leather wrist band. Yes, I chose the leather version. 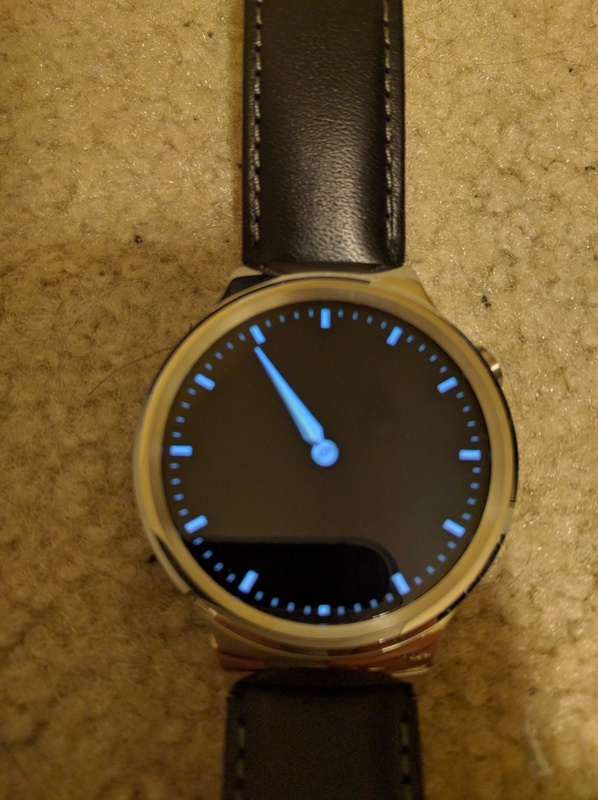 The setup was very easy and straight forward after I installed the Android Wear app on my Nexus 6P (also Huawei… what a coincidence). Bluetooth pairing and WiFi set up was all more or less automatically. And after an OS upgrade the watch is up and running. I could even test some of the notification settings. This was easier, than I thought it would be. 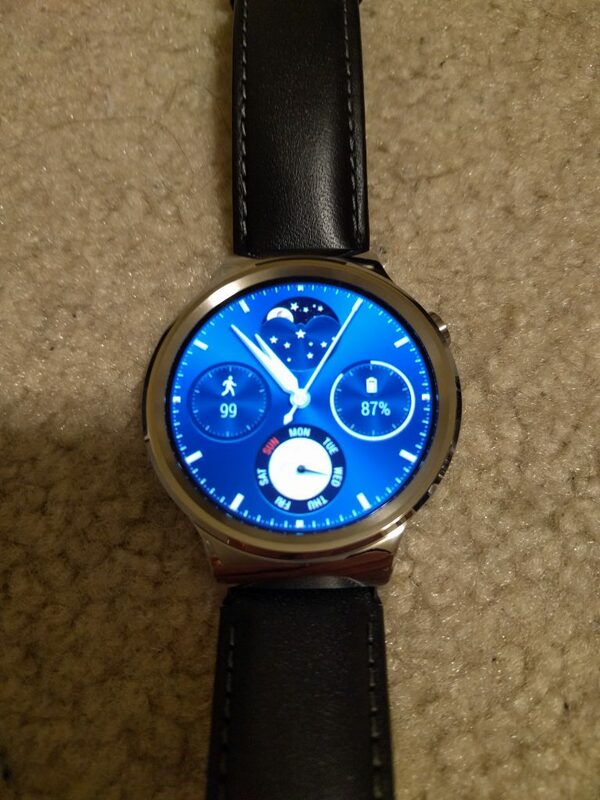 I still have to explore some of the Android Wear apps, but for now I am good. I think the biggest problem so far was choosing a clock face. For the moment I am using “Moon Phase”, but that might change. Here is the standard and the standby clock face. So this is the very first impression of my new little gizmo. 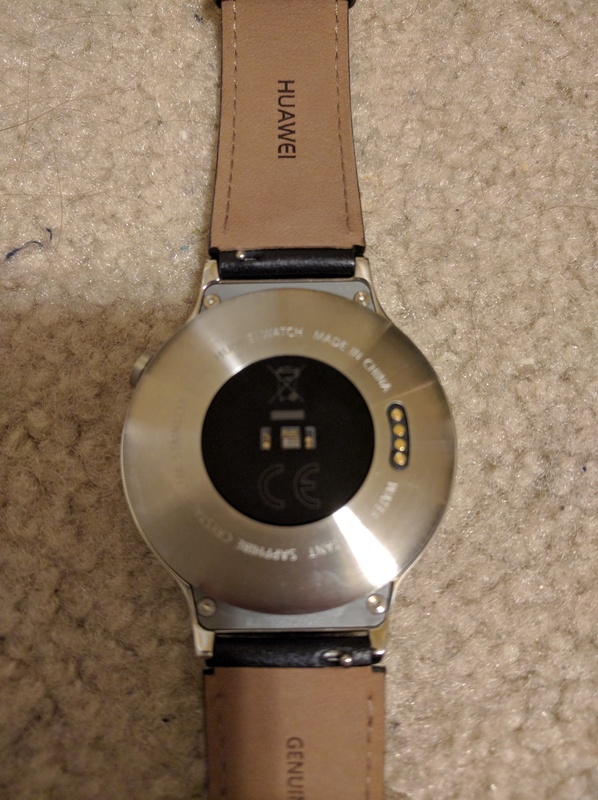 Let’s see how this watch works in real life conditions. Is it really a smart watch or is it just an overhyped toy? What apps make sense to use and which don’t? And the battery life is of course a concern. After charging it, the battery drained quickly to about 75%, but that was also after a couple of system updates and other play things. Also, I currently have the display always on, hence the standby clock face.